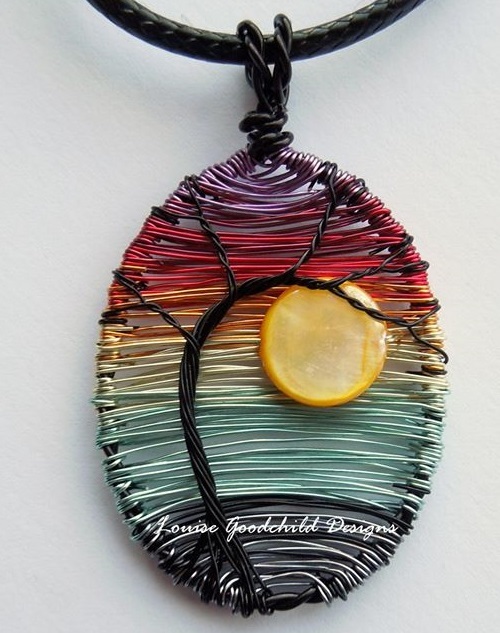 British artist, designer, and jeweler Louise Goodchild creates truly artful jewellery. 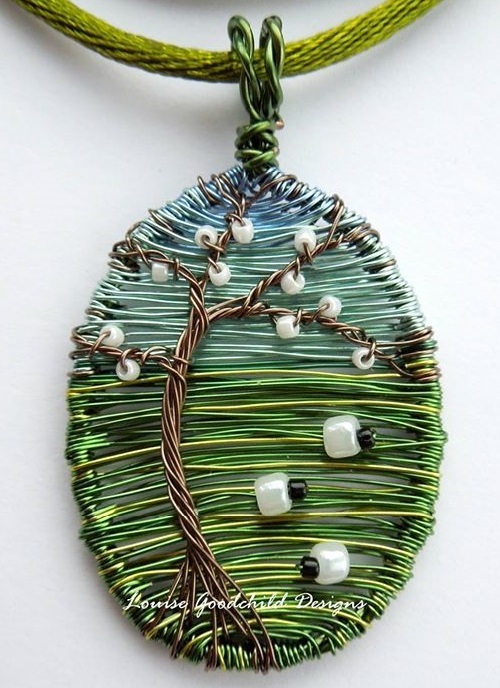 In particular, her collection consists of beautiful miniature handcrafted wire pendants made from colored copper wire, and glass seed bead. 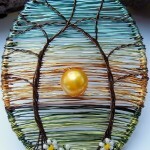 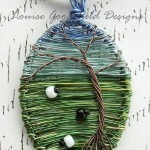 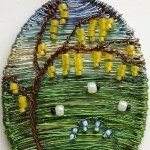 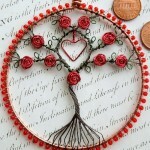 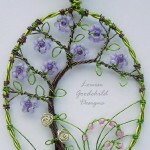 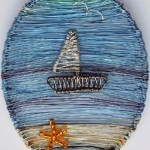 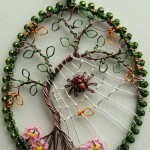 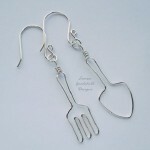 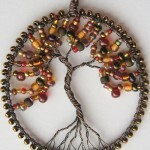 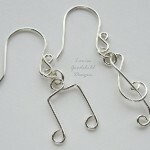 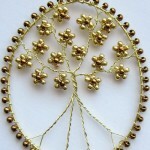 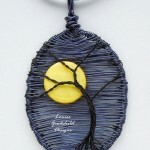 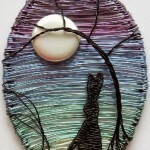 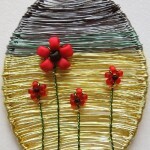 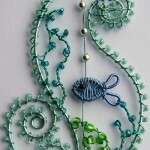 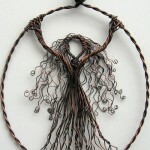 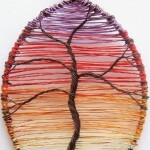 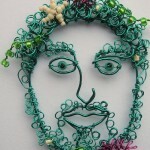 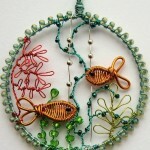 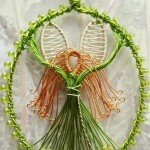 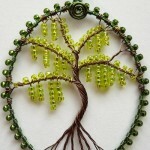 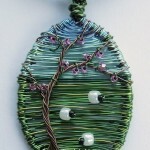 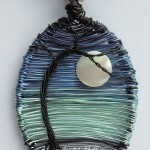 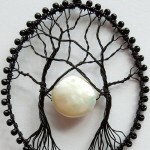 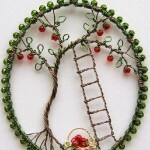 Besides, Louise Goodchild creates both traditional jewellery (mainly earrings) and more unique wire-work – little wearable wire pictures. 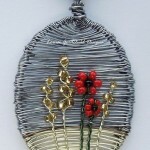 Meanwhile, over the years, she has developed her own distinctive, instantly recognizable style. 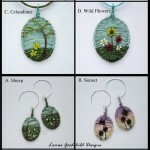 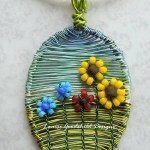 Noteworthy, Louise avoids using ready-made components in her wire pendants, so it’s always a challenge to create the motifs she needs from wire and beads. 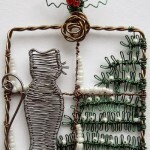 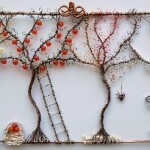 “Wire can do so many different things. 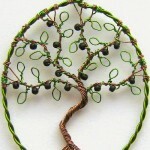 Because of the immense variety of colors and gauges – and the fact that you can mix both of those up by twisting, plaiting etc. 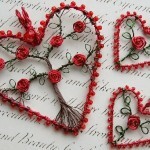 – there’s so much you can do with it…”. 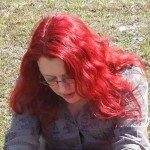 According to Louise, often if an idea jumps into her head and “keeps insistently poking her brain”, she’ll find a way to make it happen.